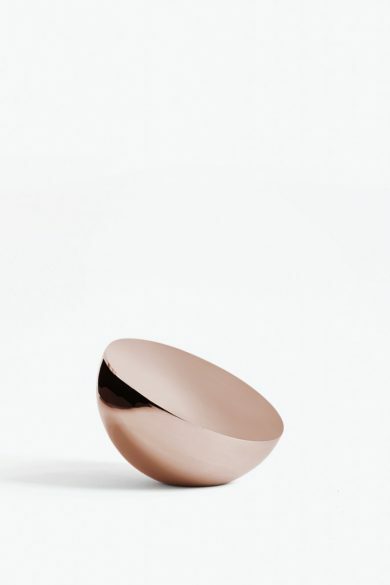 The bold materiality of the Aura Mirror has been expanded with the addition of copper and brass editions. Just like the original, its polished form picks up surrounding light, creating diverse reflections through a combination of hard flat surfaces and long curves. The warmth of copper and brass add warmth to a sculptural piece that demands to be touched and held.